An outbreak of measles has also occurred in the Orthodox Jewish community in Brooklyn, where 64 confirmed cases of measles were reported, mostly late last year. But no place has been hit harder since January than Clark County, Washington- health officials declared a medical emergency last month, and say they have seen 49 cases, most of them in children under the age of 10. 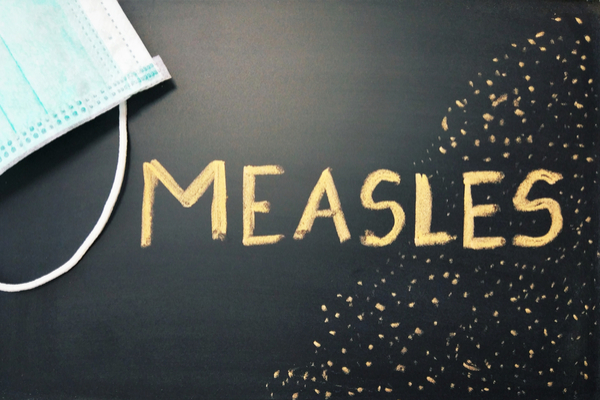 Measles can cause permanent neurological damage, deafness and in relatively rare cases, death. Samedaydoctor recommends MMR vaccination for all children. Our BabyJabs clinic offers single measles vaccine as some parents would choose not to vaccinate with MMR and a single vaccine is better than no vaccine at all. Single mumps and rubella vaccines are no longer available, so administration of single measles vaccine alone would leave a child vulnerable to catch and spread mumps and rubella. Rubella is a mild condition but can be devastating if caught by a pregnant woman who herself has no rubella immunity, as it can cause abnormalities to the unborn child.